I like when leaves fall … there is so much more sky vistas to see! it's a lovely view. thank you. Oh, what a beautiful capture of your lovely skies, Carver!! I love it!! Hope you have a wonderful weekend!! 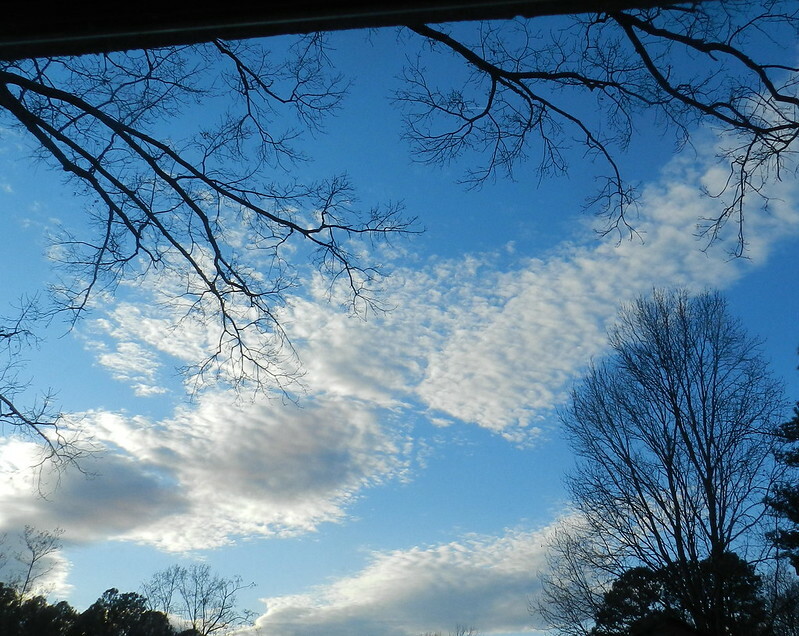 Beautiful blue sky Carver, from your porch perhaps? Lovely view with all the trees framing in parts. What a beautiful, bright sky. this is the kind of blue sky i really like. i call this shade the happy blue. So pretty; the kind of sky that makes you wish you could hop on one of those clouds and just float. I love the clouds and the beautiful blue sky! Very pretty sky capture, Carver!